Welcome to the Psalms, everyone. 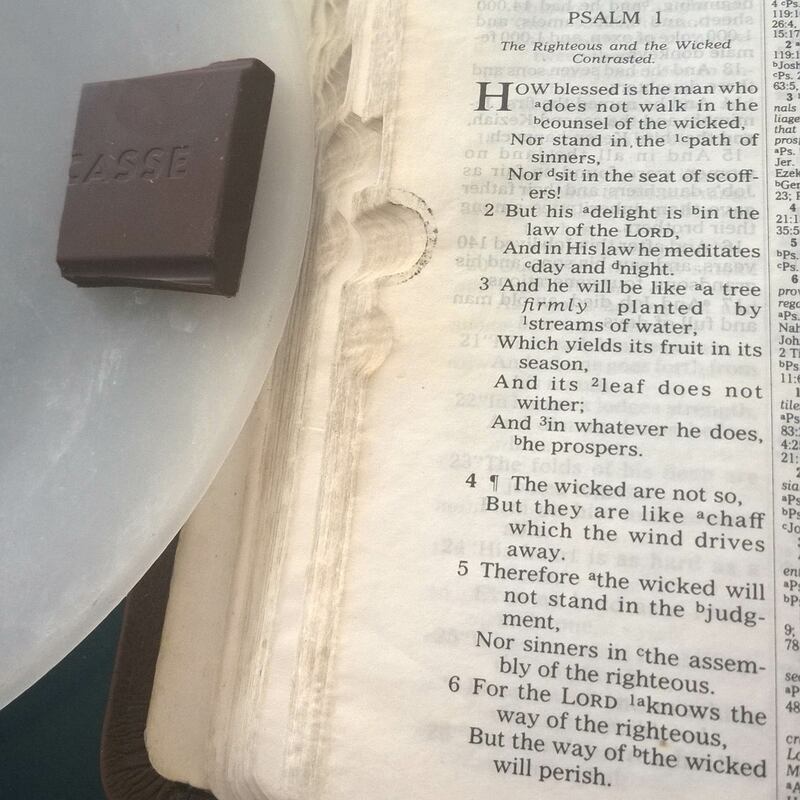 The Psalms are great for daily reading because they’re so bite-sized. The central analogy here is that of a righteous man to a healthy tree, and of a wicked man to chaff. The tree that is the righteous man “yields its fruit in its season, and its leaf does not wither; in whatever he does, he prospers” (3). As a didactic tool, this psalm is intended to encourage adherence to and study of the Torah, God’s law (2). We’d like to think that good behavior is always clearly rewarded, but if Job read this psalm, what would his reaction be? Covered in sores, bereft of his herds and children, afflicted by an unseen spiritual Adversary, would he attest that the righteous man prospers in everything that he does? Now, when David wrote this psalm, I think he was aware of people like Job, and it’s not as if the psalm reads, “For the righteous man everything will always be good and never bad, forever, the end.” Once again, there’s an understanding that the long game is in play here; the tree takes time to grow, and it only produces fruit in its specific season. But–if you’ll pardon my mixing of metaphors–what do you do while the fruit is still growing and you can’t see the light at the end of the tunnel? Posted in Daily Reading, Psalms.Tagged bible, christianity, David, judgment, justice, morality, Psalms, scripture, theodicy, theology.